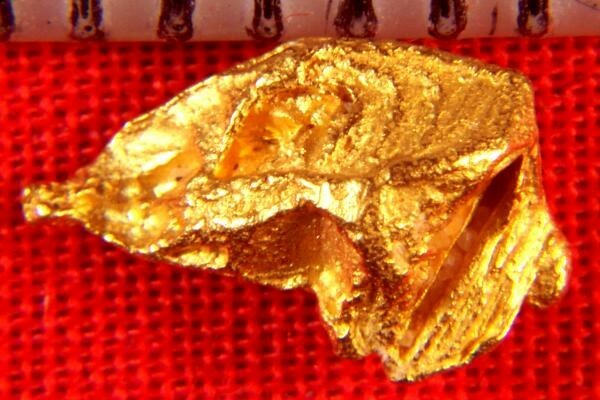 This is an amazing hoppered and fluted gold nugget crystal. This amazing gold specimen is from Zapata, just outside of Ikabaru, near Santa Elena de Uairen in the jungles of Venezuela. It is hoppered in several areas as you can see in the photos and it has fluted striations. 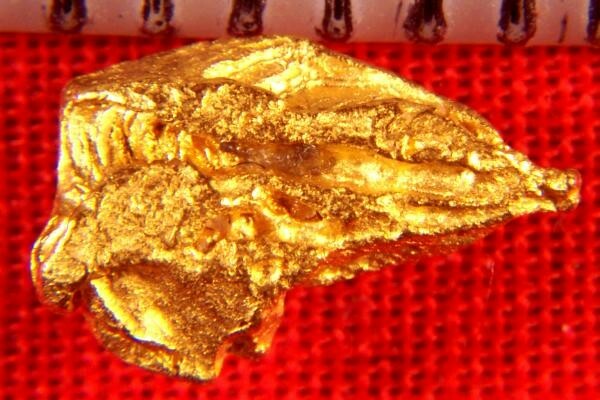 Rare gold specimens like this one are extremely rare and unusual and it is not often that you see them offered for sale. I have been told many times that I have the largest selection of rare gold specimens offered for sale anywhere. This amazing hoppered gold crystal is over 5/16" (8 mm) long and it weighs 16.1 Grains (1.04 Grams).